On the morning of August 13, 1961, the residents of East Berlin found themselves cut off from family, friends and jobs in the West by a tangle of barbed wire that ruthlessly cut a city of four million in two. The Berlin Wall is the first comprehensive account of a divided city and its people in a time when the world seemed to stand permanently on the edge of destruction. On the morning of August 13, 1961, the residents of East Berlin found themselves cut off from family, friends and jobs in the West by a tangle of barbed wire that ruthlessly cut a city of four million in two. Within days the barbed-wire entanglement would undergo an extraordinary metamorphosis: it became an imposing 103-mile-long wall guarded by three hundred watchtowers. A physical manifestation of the struggle between Soviet Communism and American capitalismtotalitarianism and freedomthat would stand for nearly thirty years, the Berlin Wall was the high-risk fault line between East and West on which rested the fate of all humanity. Many brave people risked their lives to overcome this lethal barrier, and some paid the ultimate price. In this captivating work, sure to be the definitive history on the subject, Frederick Taylor weaves together official history, archival materials and personal accounts to tell the complete story of the Wall's rise and fall, from the postwar political tensions that created a divided Berlin to the internal and external pressures that led to the Wall's demise. In addition, he explores the geopolitical ramifications as well as the impact the wall had on ordinary lives that is still felt today. For the first time the entire world faced the threat of imminent nuclear apocalypse, a fear that would be eased only when the very people the Wall had been built to imprison breached it on the historic night of November 9, 1989. Gripping and authoritative, The Berlin Wall is the first comprehensive account of a divided city and its people in a time when the world seemed to stand permanently on the edge of destruction. In the summer of 1961, sixteen years after the end of the Second World War, the world was faced for the first time with the realistic threat of nuclear annihilation. The background cause was the development, during the 1950s, of massively destructive nuclear weapons by both East and West. The immediate reason was the construction of a wall, a wall dividing a city built on sand. Berlin, where this ominous thing happened, had always been an improbable metropolis. A fishing and trading settlement, surviving on sandy, boggy soil, it then became capital of one of the poorest monarchies in Europe: Prussia, a state whose very weakness gradually became its strength, and whose habitual trade of military violenceforced on it by its meagreness of natural resourcesmade it powerful, and Berlin one of the great urban centres of the world. So how and when did the city's rise begin? Taylor has penned a compelling, thrilling, narrative history of the rise and fall of The Berlin Wall from a hastily constructed barbed-wire fence to the 30 miles of concrete and 300 watchtowers that followed shortly after. He looks not just at the barrier that partitioned a city, and the human stories of those effected by the Wall, but also at the global politics behind its construction in 1961, 16 years after the war had ended and 13 years after Stalin's failed attempt to seal off the city had been foiled by the Berlin airlift. (Reviewed by BookBrowse Review Team). Taylor’s book is a vivid, comprehensive account of how the Berlin Wall came about, of the repulsive or inspiring events which took place along it during its 28-year life, and of its eventual fall in 1989. He backs this narrative with a summary of Prussian and Berlin history leading up to the defeat of the Third Reich in 1945, a close study of the devious postwar struggles within the ruling Socialist Unity Party under Walter Ulbricht and then Erich Honecker, and an account of developing East-West relations before, during and after the great ‘Berlin Crisis’ of 1958-61 .... in other ways – language, historical assessment, boldness of opinion – this book falls below the standard set by Dresden. .... there’s also an impression that a publisher has told him to find a more popular style for readers whose attention to the past is fragile. Starred Review. Taylor's enthralling story, combined with impeccable research and its rich human interest, makes this as dramatically gripping as any of the spy thrillers that used the wall as a backdrop. 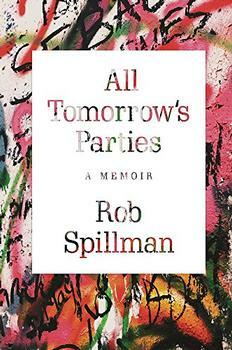 In his intimate, entertaining, and heartfelt memoir, Spillman narrates a colorful, music-filled coming-of-age portrait of an artist's life that is also a cultural exploration of a shifting Berlin. A painstakingly researched, revelatory biography of Svetlana Stalin, a woman fated to live her life in the shadow of one of history's most monstrous dictatorsher father, Josef Stalin.